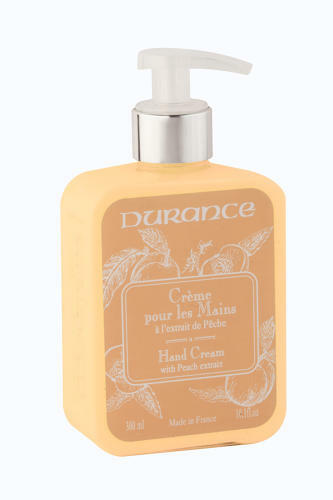 PEACH HAND LOTION - Made from plant oils, Durance’s hand cream protects and nourishes dry and damaged hands. With Cotton extract, it swathes you in gentleness. Infused with peach and lifted up by a soft basilic note.